Is anyone else anxious for this sweltering summer heat to turn into cool crisp autumn air?! 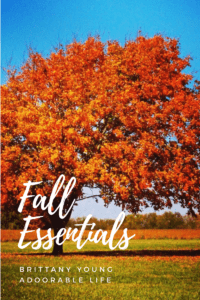 and check out this list of my most favorite aDOORable fall products! Whoooooooo else aDOORes this bewitching little owl pillow?! The witch is in and she’s casting spells! A little ghoul to keep you company and help you around the kitchen! Tall. Funky. And ready to mingle with your outdoor decor! Whether you put them in the flower bed, or hang them from a wreath.. Celebrate in style with this aDOORable festive headband! Loving this simple but stylish women’s tee! This versatile necklace will perfectly complement your fall wardrobe! You had me at C A R A M E L .